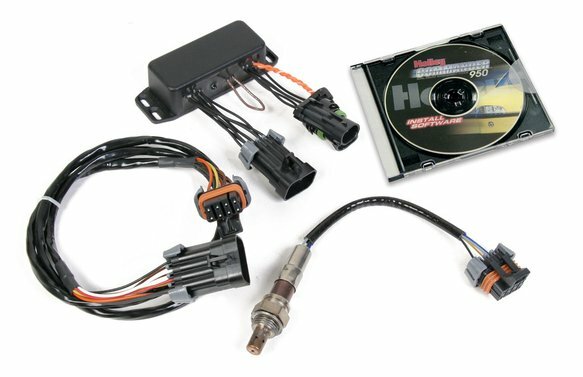 The wideband oxygen sensor is the ultimate addition to any new or existing Commander 950 EFI system. It will plug directly into all Commander 950 harness and accurately measure any air/fuel ration between 10:1 and 20:1. This allows the engine tuner to read the air/fuel ratio in real time for extremely accurate tuning. The Pro software, that is included with the upgrade, features a 64 cell target air/fuel ratio matrix. This feature enables the tuner to program the ECU to operate the engine at any target air/fuel ratio for best power and economy. All engines will benefit from this upgrade and it is a virtual "must have" for forced induction engines.